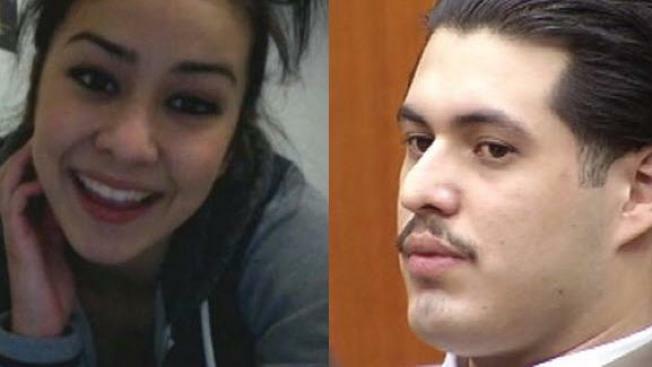 File image of Sierra LaMar and her convicted killer, Antolin Garcia Torres. Jurors in the four-month Sierra LaMar murder trial are expected to begin penalty phase deliberations Wednesday morning, in which they will decide whether the missing teen's killer should face the death penalty or life in prison without parole. In his closing argument on Tuesday afternoon, defense attorney Brian Matthews responded to prosecutor David Boyd's remark that Garcia-Torres did not deserve the mercy or compassion of a life sentence. He continued: "He was exposed to abuse. That's a reason for life. He was exposed to violence. That's a reason for life." Legal analyst Steven Clark weighed in on the defense's attempt to paint Garcia Torries as a man shaped by poverty and violence, while the prosecutor focused on a family in pain. "I think what the DA tried to stress here is the fact that there is no body makes this crime especially cruel for the family, and Antolin Garcia Torres does not deserve mercy because he did not show that to Sierra or her family," Clark said.